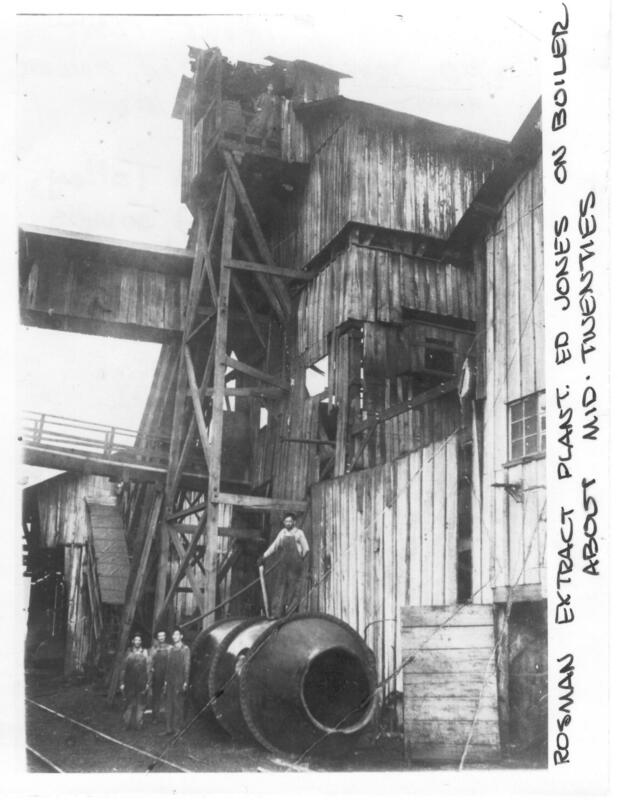 Silversteen established the Rosman Tanning and Extract Company. 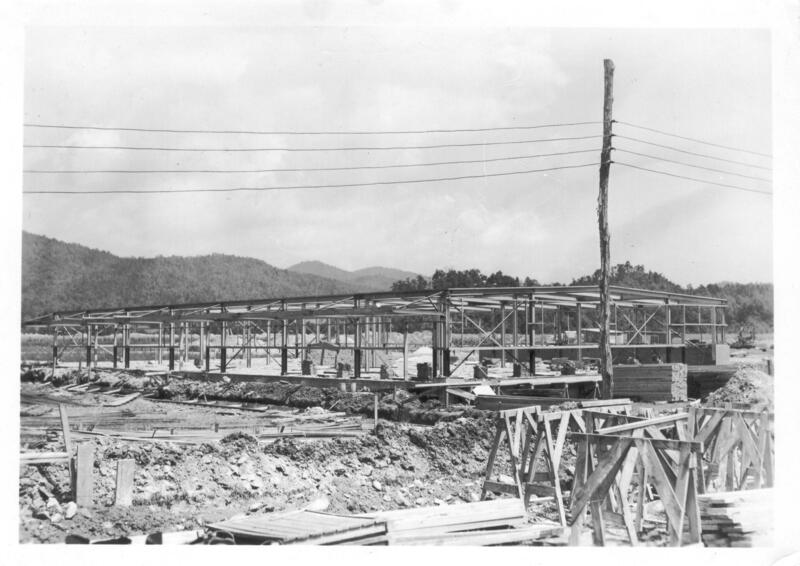 Rosman High School was organized. After students had been attending classes in homes and churches, Rosman High School was organized in 1916. The wooden building, constructed on land donated by Joseph Silversteen, had five rooms and was used for both high and elementary school. Ten students were required to have it designated a high school, and so a number of teachers took courses to meet this numerical requirement. In 1919 J. E. Ockerman became school principal and numbers increased. The school held grade one through grade eleven. 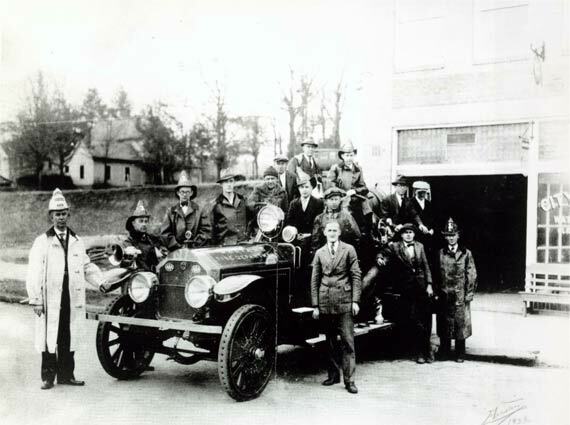 In 1923 the school received accreditation by the state as busses started bringing larger numbers of students to the school. The old High School was completed in 1927. The old portion of the Elementary School was constructed in 1922, the new buildings were added in 1949 and this structure is now used as Junior High School. 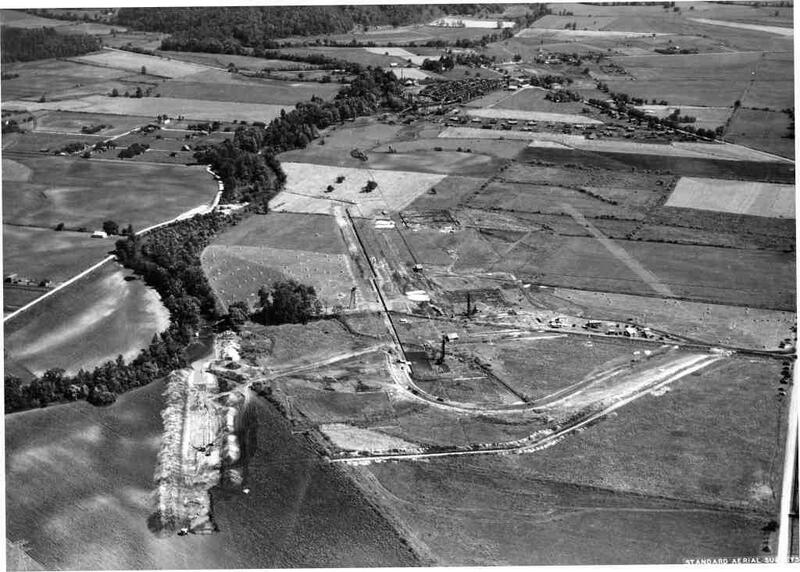 The construction of the Silversteen residence, Silvermont, was completed. The na me, once again, was an amalgamation of his last name Silversteen and his wife’ s family name, Elizabeth Jean Mount. Davidson River Church and Brevard Presbyterian Church united to form the Brevard-Davidson River Presbyterian Church. 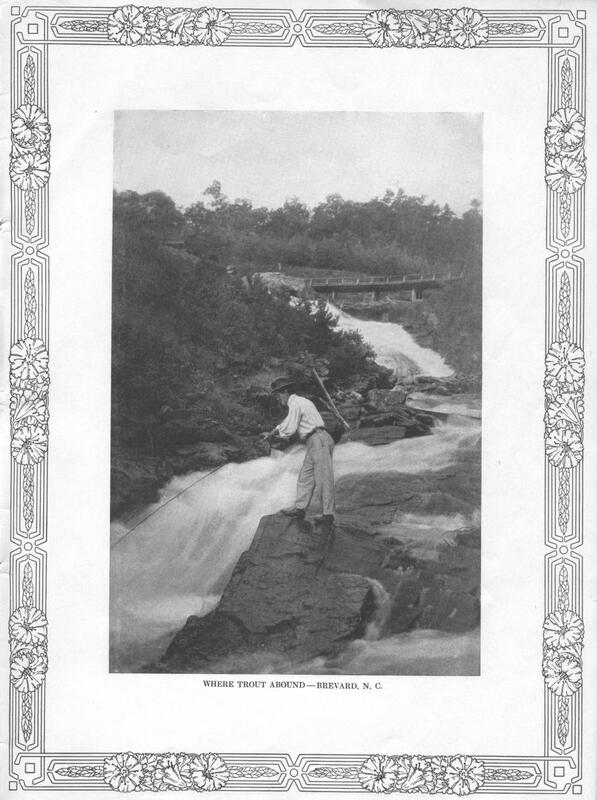 In about 1800 there were Presbyterians who regularly met near the current Pisgah Forest. The first permanent structure was built in 1826 in a grove donated by Benjamin Davidson for a “free meeting house”. Two years later the 28 members reorganized as the Davidson River Church. In 1855 a second building containing classrooms was constructed, but the structure was destroyed by fire in 1891. The civil war had brought a schism between the northern and southern groups but they united in 1896 The Davidson River church, known as the “Mother Church”, was also used by Baptists and Methodists. Leaders established five chapels, including one in 1887 on Probart Street. In 1891 this was organized as the Brevard Presbyterian Church with 29 members. 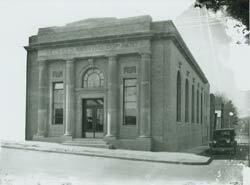 Perhaps due to the low membership of both, members voted to merge in 1931 forming the Brevard-Davidson River Church. As membership increased there was a need for more space. So the Probart Street church was sold in 1949-50 and the Franklin Hotel on East Main Street was purchased. For a number of years worship services were held in the hotel. The cornerstone for the new sanctuary was laid in March 1956. The Civilian Conservation Corps, 1933-1942. This government recovery program had two goals: to provide work for unemployed young men and to rehabilitate the nation’s ravaged land and forests. 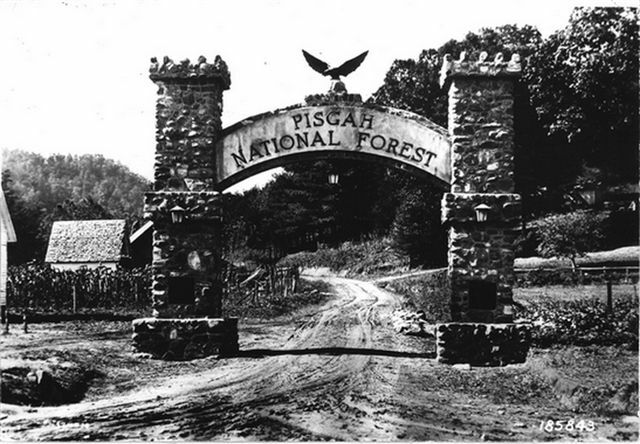 With Pisgah National Forest and Nantahala National Forest occupying approximately one-third of the county, Transylvania County was a prime location for the work of the CCC. 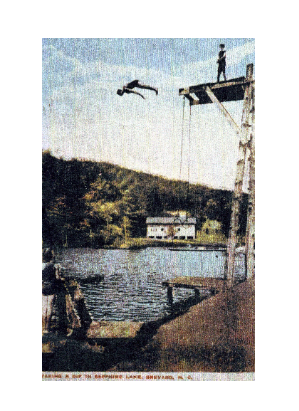 Camp John Rock, located northwest of Brevard near the Pisgah Fish Hatchery and Camp Balsam Grove, which stood west of Brevard near the Balsam Grove community, trained young men from throughout North Carolina. 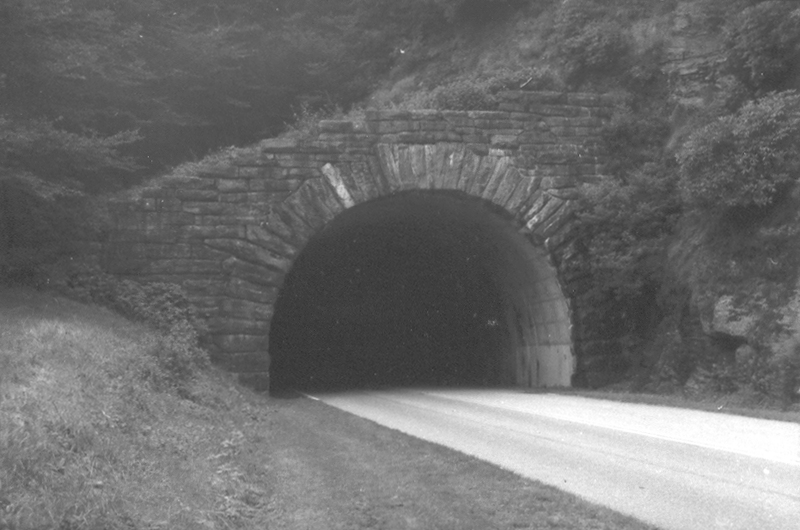 The work of the CCC in this county was closely tied to the U.S. Forest Service and included trail construction, road building and maintenance, recreational site development, fish and wildlife improvement, fire hazard reduction, site restoration, landscape improvement and building construction. 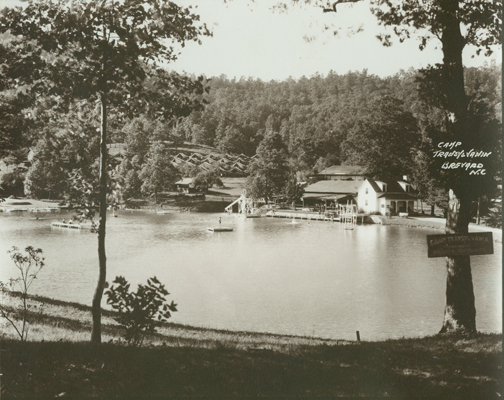 Young men also served as caretakers and hosts to the many visitors to the Pisgah National Forest’s camp and picnic grounds. 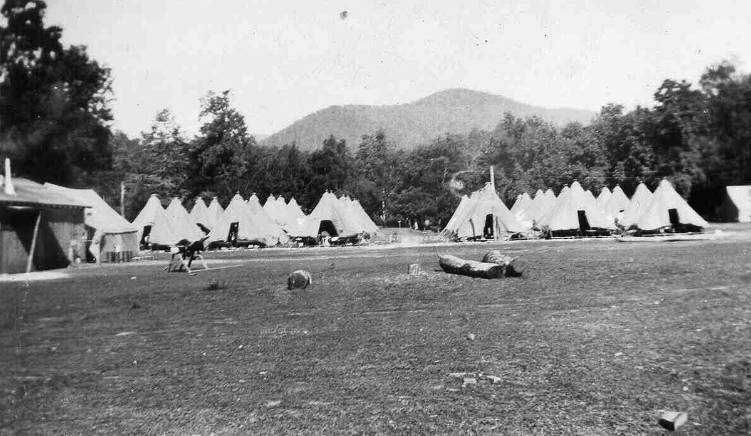 CCC camps were operated by the U.S. Army with a beginning salary of around $30 per month. It was an all encompassing program and offered classes in basic education, telephone line construction, landscaping, truck driving and machine operation. Through cooperation with Brevard College, men could take classes in shorthand, typing and bookkeeping. There were also vocational guidance, job placement, athletics, music, hiking and moving pictures two nights a week. 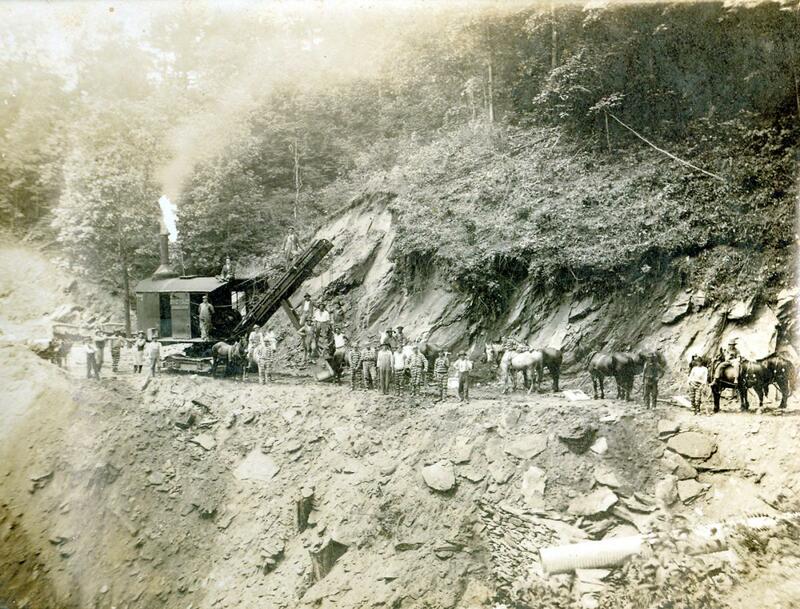 In addition to having a lasting effect on Pisgah National Forest, the CCC program also expected its young men to return home socially, culturally and economically rehabilitated and with greatly improved health and labor skills. Rutherford and Weaver Colleges merged to create Brevard College. 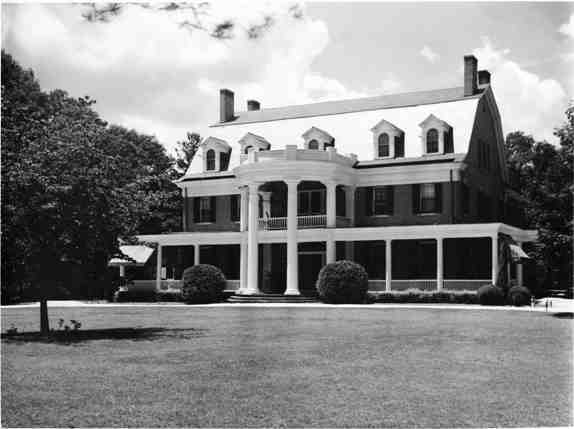 The Brevard Institute donated land on the edge of town for a college to provide education for young men and young women in western North Carolina. To concentrate resources and talent the United Methodist Church decided to centralize two older small colleges on the Brevard site. 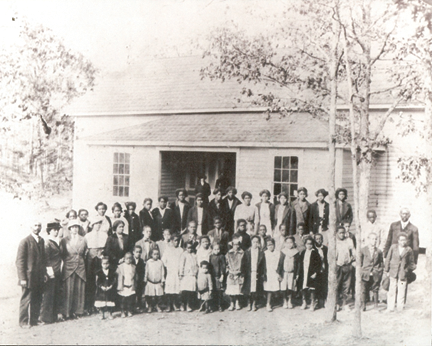 The oldest was the Owl Hollow School which started in 1853 in Burke County. At its inception the Reverent Laban Abernethy, a Methodist minister, established the principle that “None shall ever be turned away for want of means”. 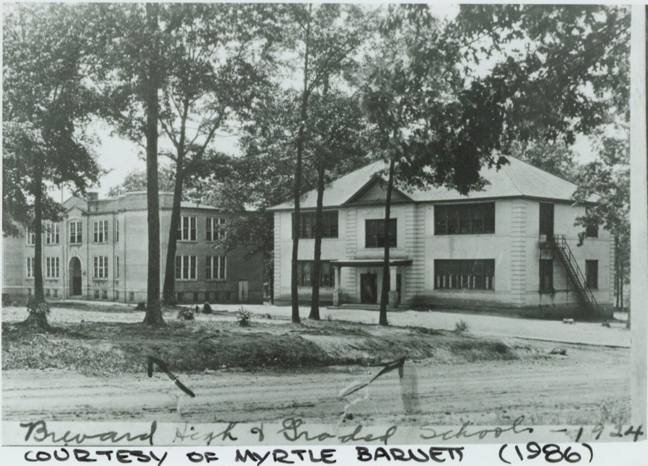 In time the school developed intoRutherford College which in 1900 was acquired by the Western North Carolina Conference of the Methodist Episcopal Church, South. 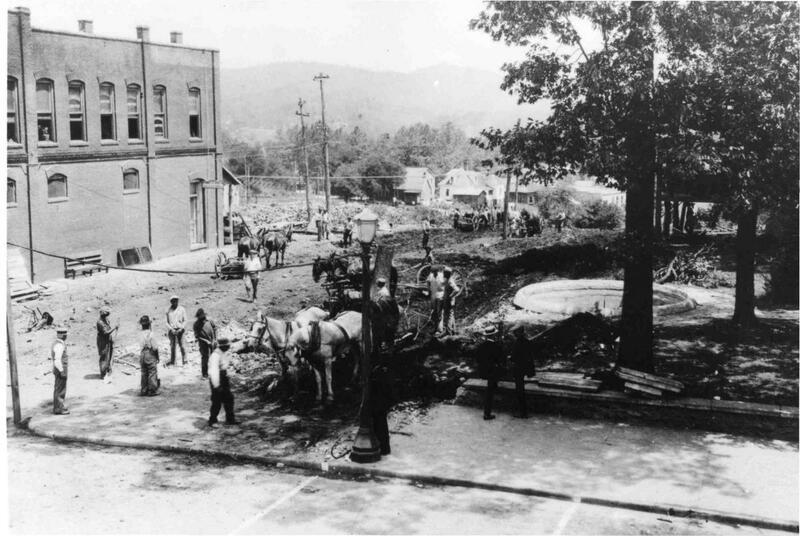 In 1854 in the village of Weaver eight miles north of Asheville, a boarding house school was established. The building was destroyed by fire in 1872 . The following year Weaverville College was incorporated. In 1883 it was deeded to the Methodist Episcopal Church, South. In 1912 it became a junior college and changed its name to College. 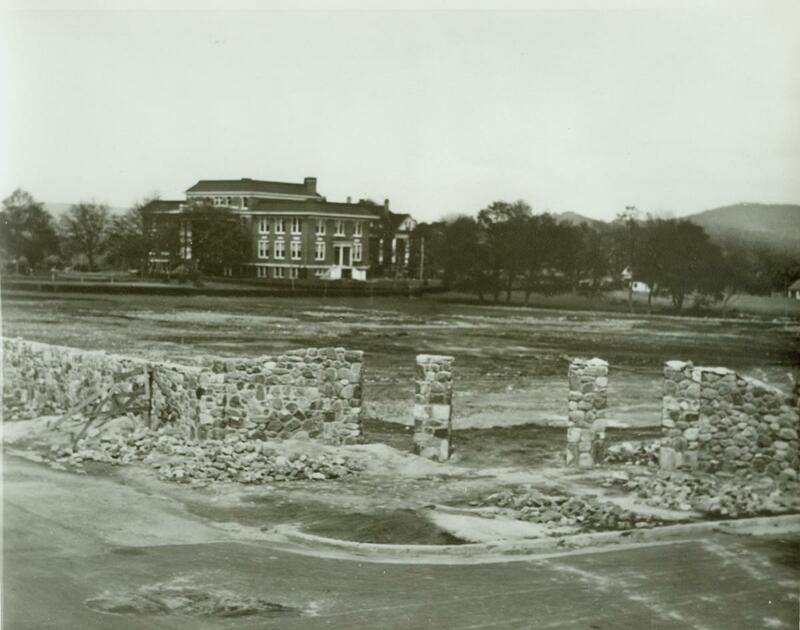 1In 1933 the Western North Carolina Conference ordered the merger Rutherford College and Weaver College on the land provided by the Brevard Institute. 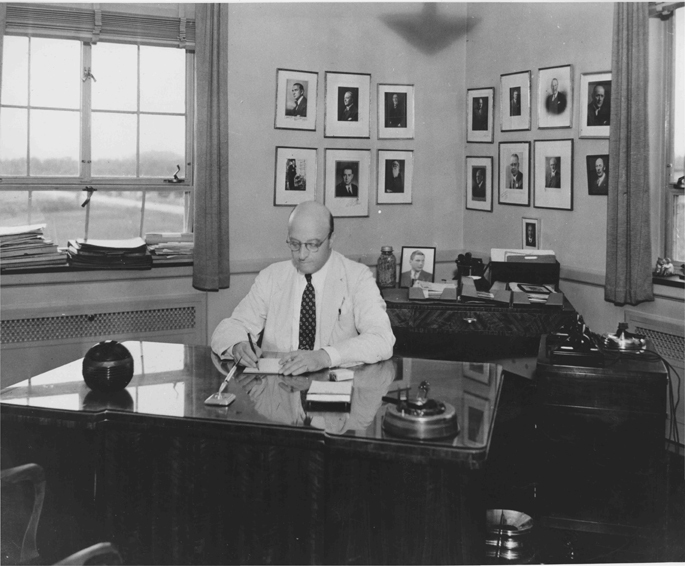 A Board of Trustees was created and Dr. Eugene Coltrane was appointed the first president. On September 17, 1934, College opened its doors to 385 students.